Another close call to the trains today. (We really need to get more organized.) Today’s train was an hour to Peterborough where we had an hour layover until we went to Stamford. Most elected to stay in the train station to eat, but I and another girl went into the town — about a 10 minute walk from the station. There was a small festival happening in Peterborough which may have been for the holiday weekend, but clichés would have me believe that small English countryside towns just have festivals every weekend. 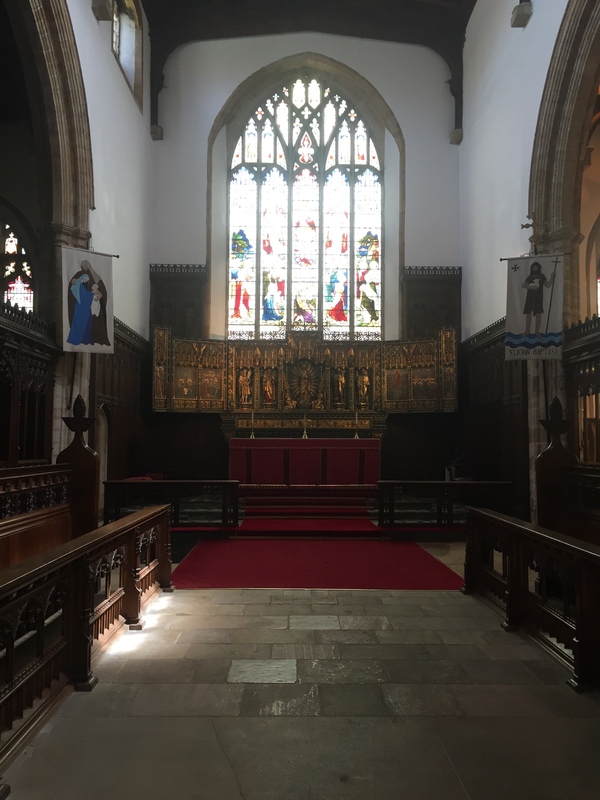 We decided to look inside the local parish church that was hosting a small exhibition on walking by an artist whose name I can’t remember. Outside the church there was a small area that had small power lines with shoes hanging over the wires. It reminded me of the small town from Big Fish. The church interior was really beautiful, and after Westminster where everything is behind ropes, it was nice to move freely throughout the space. 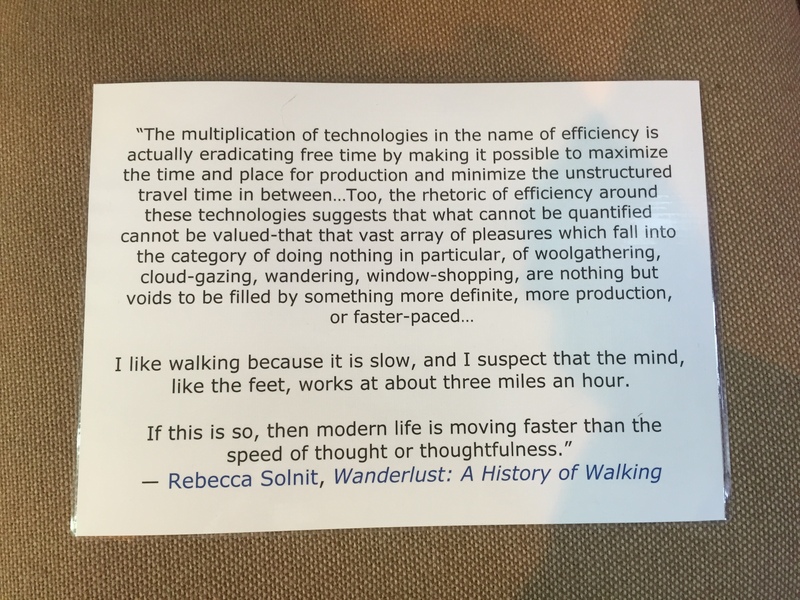 Part of the exhibition was inside where there were quotations about the glory of walking. (I thought of these later during the day as we walked everywhere. Finally tally according to my phone was about 13 miles.) The artist sat in one area washing feet and giving foot massages. We politely declined to participate because we had a train to catch. And because gross. Once we left, we realized that the real cathedral was behind the parish church. Stunning. It might as well have been built in Pillars of the Earth. However they charge three pounds to take photos inside. So I did not take photos inside. 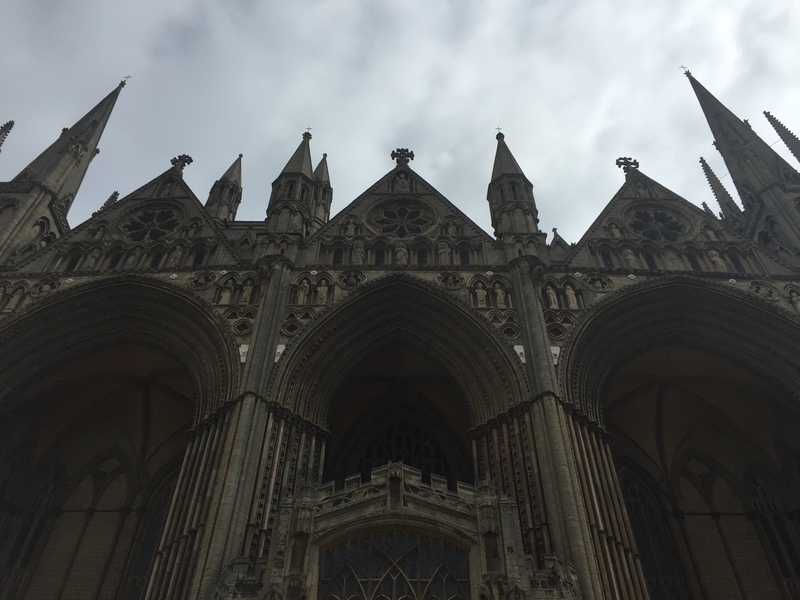 Exterior shot of the cathedral because three pounds is stupid. 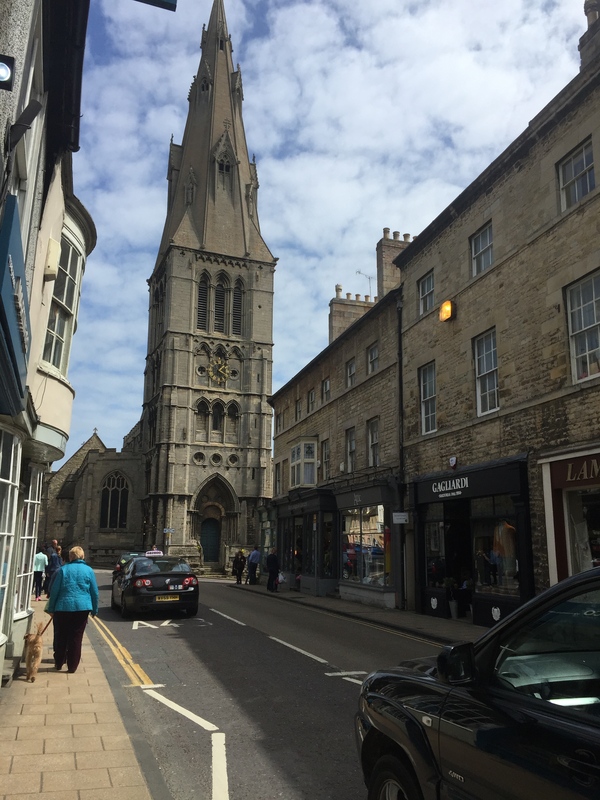 We went to Stamford and had lunch there. The food was amazing, but we were more excited about the prices. Six pounds for lunch? Woo-hoo! Stamford is something out of a story book. Only about 20,000 residents with cute shops and restaurants all framed by the nearby river. 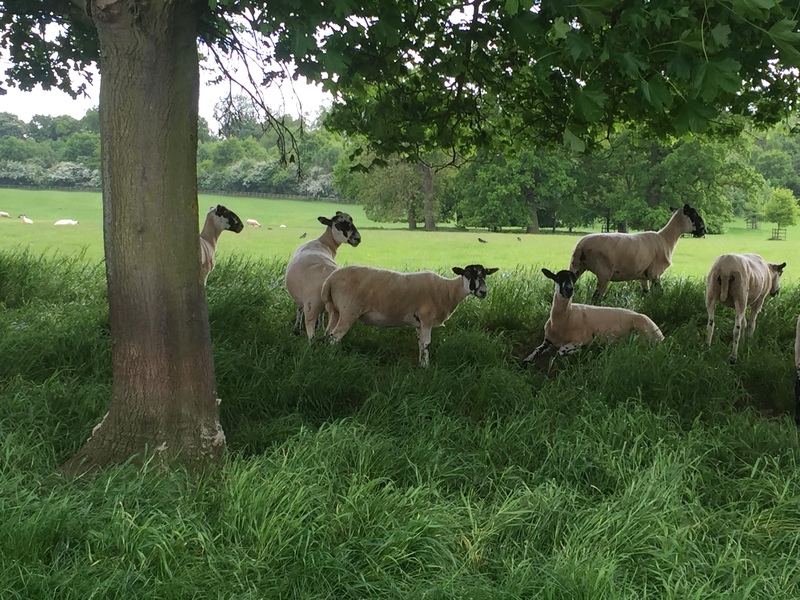 We got lost on the way (not my fault) but eventually walked the long sheep-covered driveway up to Burghley House. Yep there were sheep everywhere since the original Lord Burghley made his money in wool. They were so cute and looked lazily at us while we snapped pictures pretending like we’d never seen sheep before. Well, not British sheep. Once inside we photographed all of the incredible rooms that included a personal chapel and Queen Elizabeth I’s bedroom. 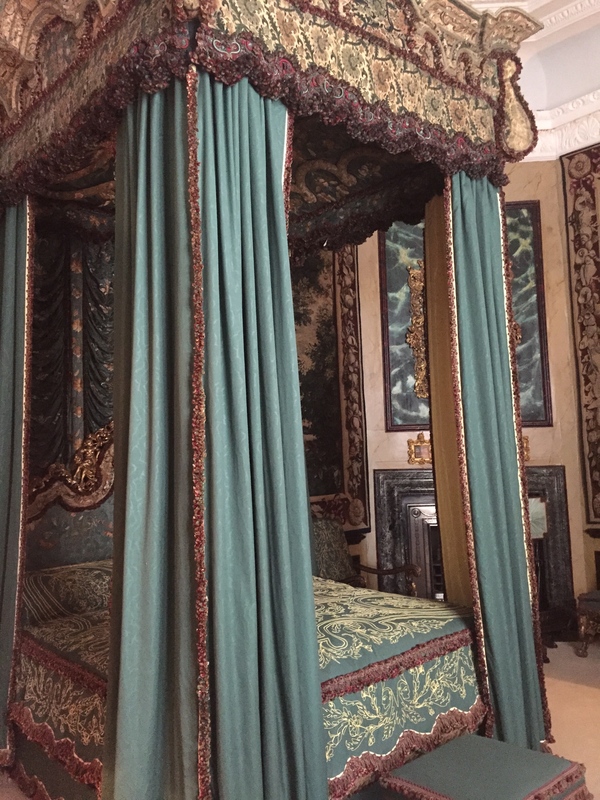 The original Lord Burghley was her treasurer, and as a lord he had to keep a bedroom ready for her in case she ever showed up. She did visit once, but someone in the house had the nerve to have smallpox so she couldn’t stay the night. Queen Victoria, Prince Albert, George VI, and the Queen Mother did stay the night in another part of the house during their respective visits. Amongst the parlors, bedrooms, drawing rooms etc. 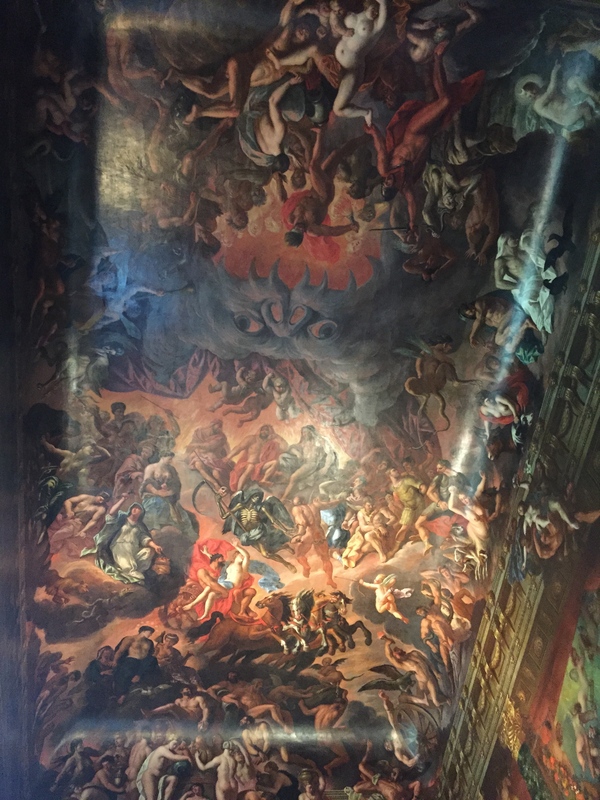 is the main staircase that is called “The Hell Staircase.” Why you’d pick this as a scene for your staircase I’m not sure, but it’s stunning all the same. Was I thinking about any this while I was there? No I was more concerned with another legend: Judi Dench. 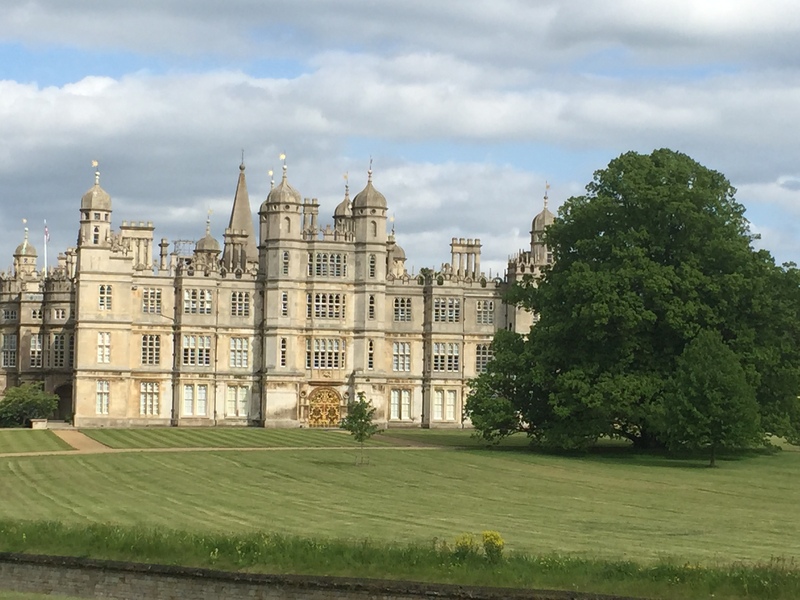 Burghley House was used as Rosings Park in the newest Pride and Prejudice film with Keira Knightley. Which is really cool. 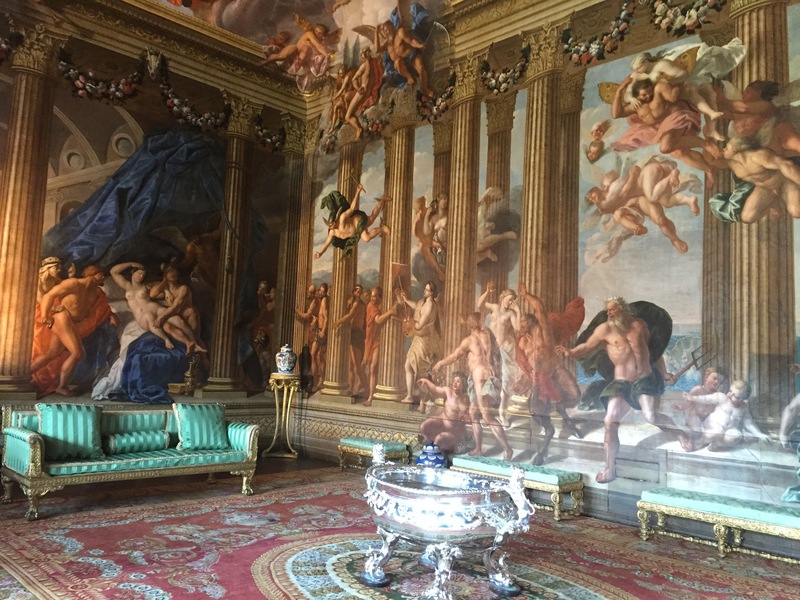 After asking the guides enough “respectable” questions about the paintings, I finally summoned the courage to ask: “Which room was in the movie?” It was one of the many drawing rooms with a special name I can’t remember. 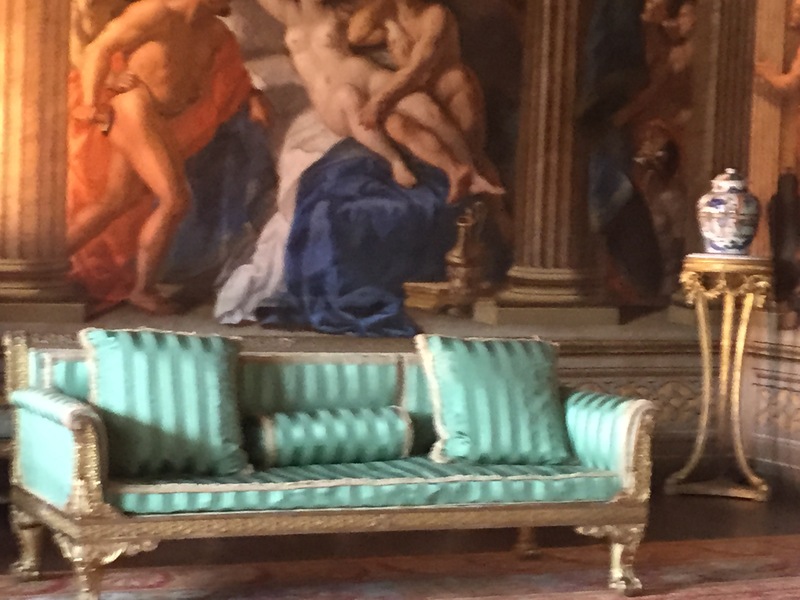 I got a picture of the couch, too.